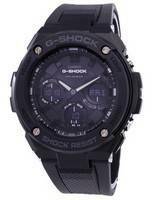 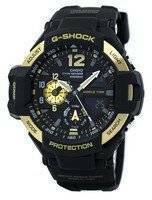 The shock-resistant design of the Casio Men's G-Shock Ana-Digi World Time Digital Shock Resistant Watch makes it a one-of-a-kind timepiece. 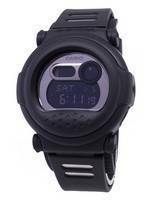 This tough watch is constructed with a stainless steel case, a stationary stainless steel bezel, and a stainless steel link wristband with a double-push-button-fold-over-saftety clasp. 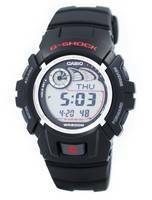 A durable mineral window shields the black and digital-gray dial face, which features traditional silver-tone hour indexes, silver-tone watch hands, and a digital display at the three o'clock position. 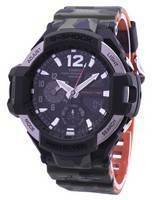 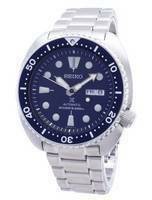 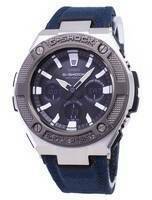 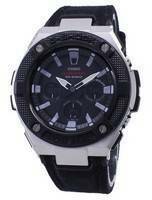 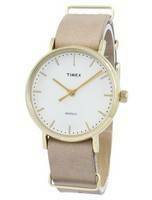 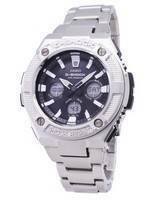 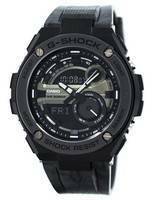 The digital-quartz-powered watch also includes three chronograph subdials and displays the day, date, month, and year. 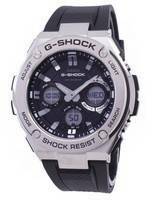 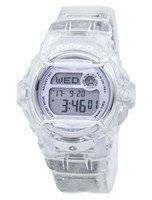 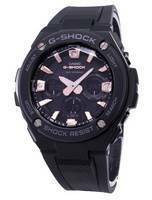 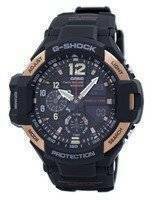 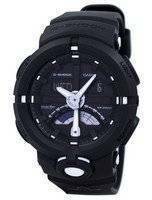 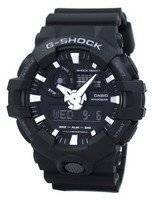 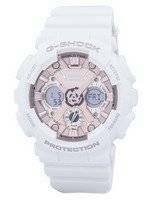 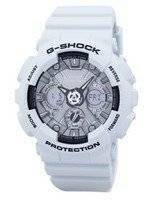 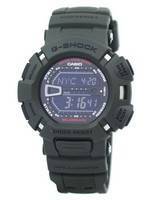 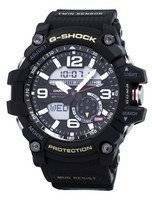 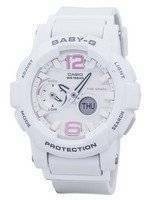 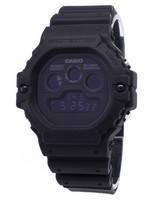 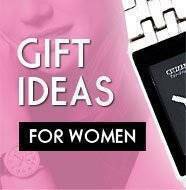 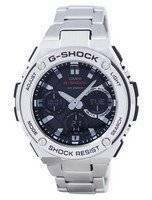 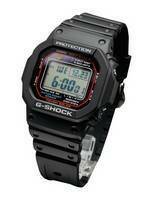 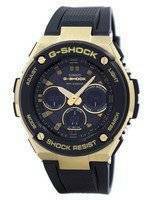 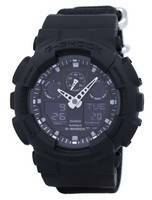 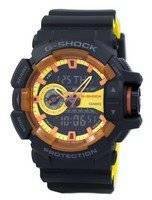 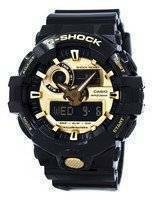 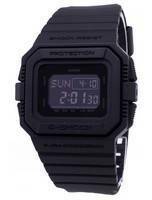 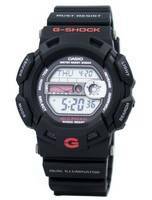 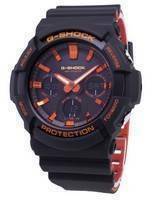 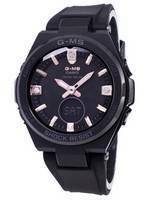 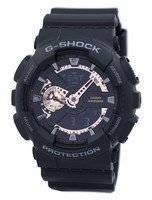 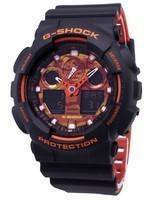 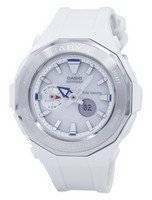 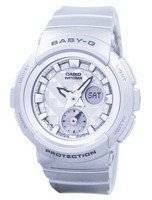 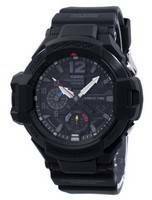 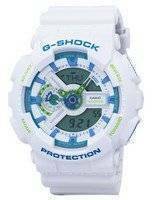 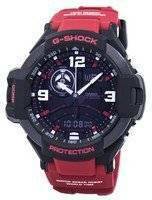 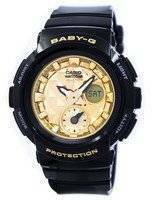 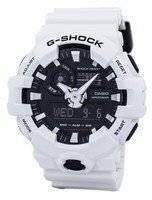 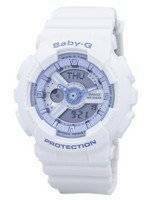 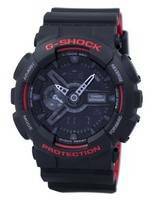 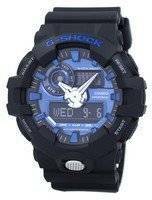 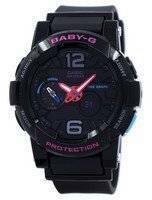 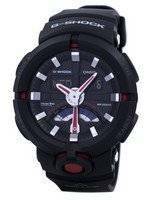 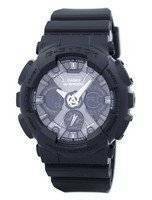 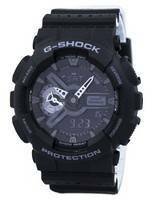 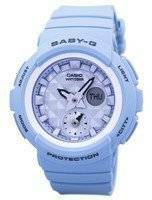 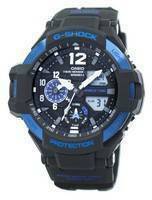 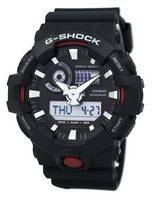 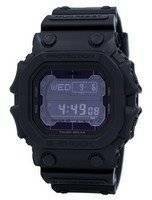 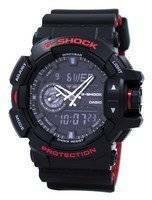 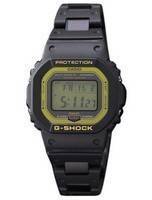 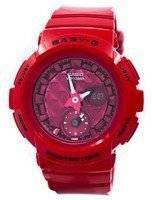 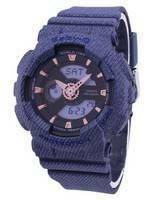 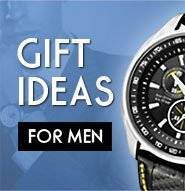 Casio G-Shock World Time Casio chronograph world time Casio world time digital watches Casio world time analog watches Casio world time watches Casio mudman world time watch world time Casio solar watches.